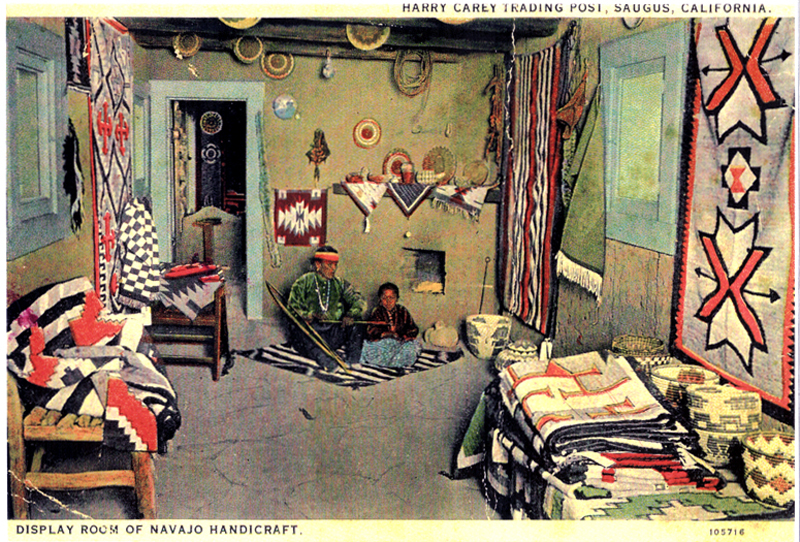 Postcard, probably 1925-28, titled "Display Room of Navajo Handicraft" at Harry Carey Trading Post, Saugus, California. Postcard by C.T. American Art Colored of Chicago, No. 105716.